Once upon a time, Lucy was a hip kid making the singer-songwriter scene in New York with Suzanne Vega, Cliff Eberhardt, and the late Bill Morrissey. It was easy, the New York Times said, "to predict stardom for her." Then she changed direction, earned a Ph.D. in Psychology, and began working with mentally ill adults. Music kept calling her back, though, in the form of friends who wanted her to sing on their albums, Shawn Colvin, Nancy Griffith, John Gorka. She went on to record half a dozen outstanding solo albums – Ten Year Night and Every Single Day won Best Pop Album of the Year from the Association For Independent Music – and she also collaborated on two enormously entertaining and popular "super group" projects, Cry, Cry, Cry with Dar Williams and Richard Shindell, and Red Horse with John Gorka and Eliza Gilkyson. 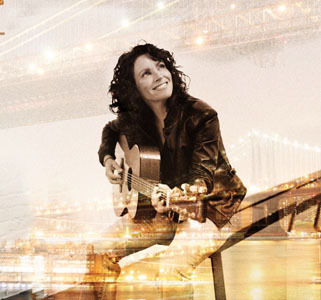 Her latest, Reunion, reunites her with collaborators Buddy Miller, Richard Shindell, Jonatha Brooke, John Gorka, Eliza Gilkyson, Duke and producer/drummer Ben Wittman. Her show tonight promises a rich mix of folk, roots rock, and country, all delivered with great warmth, humor, and intelligence, in that unforgettable voice.